Twenty-six of the 278 containers examined by May 20 had some sort of leak or were bleeding from their lids. There are a total of 1,307 containers at the plant. 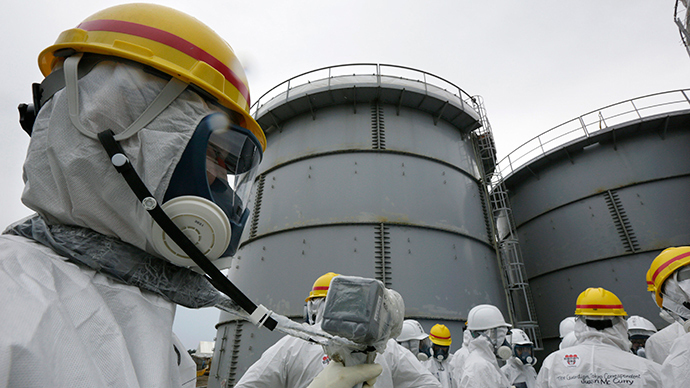 According to TEPCO, the leaks and bleeding were likely caused by hydrogen and other types of gases that resulted from the water's exposure to high levels of radiation. Those gases appear to have accumulated in sediment at the bottom of the containers, expanding the volume of the liquid. She also stated that in the long-term, TEPCO will lower the water level of current facilities in order to prevent further leakages. The containers, which are made of polyethylene, are 1.8 meters (5.9ft) high and have diameters of 1.5 meters (4.9ft). They store wastewater from the ALPS (advanced liquid processing system) equipment that removes radioactive substances from contaminated water.